Discuss this movie. Available on DVD and Blu-ray. 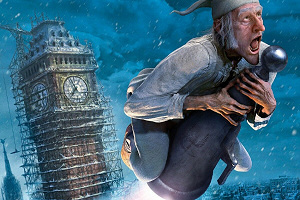 "Disney's A Christmas Carol" is coming to theaters soon, which means the Jim press tour should be happening soon. Post the shows in this thread and the moderators will add it to the list below in this first post. Last edited by TNPihl on Fri Dec 18, 2009 11:53 pm, edited 6 times in total. The first show added to the list. 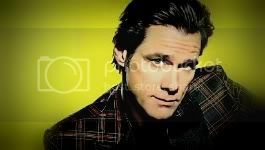 Jim Carrey will promote A Christmas Carol in 'The Tonight Show with Conan O'Brien' on November 5. He is also going to be on The Ellen DeGeneres Show. WHAT CHANNEL IS IT PLEASE TELL ME AND TELL ME WHAT TIME WILL HE BE ON TELL ME!!!!!!!!!!!!!!!!!!!!! Yea check your local TV program for Ellen and Tonight Show for that date. Added Good Morning America to the list. Has he ever been on Good Morning America? To God, every living being is beautiful... Except for you. Cool! I will look out for those last 2 shows! All right! Woo hoo! I cant wait! Maybe then he'll clear up y he's gaining weight and stuff. Surely Robin Roberts will ask him! I can't wait to see him on The Tonight Show! I discovered Conan over the summer, and I've been waiting a while for Jim to come on the show! I put my name in for tickets on conan's website and they notified me last week that I recieved 4 tickets to the nov. 5th taping. Then, to my surprise I found out Jim Carrey was going to be there that day! I got an extra ticket if anyone is interested. I live near L.A.